Admittedly, our rooms may sometimes seem small! But our Sweet Bed by ibis bedding, our team's warm and friendly welcome and our green setting will ensure you have a pleasant and relaxing stay that's full of charm. The ibis Autun hotel is located a 2-minute walk from the Plan d'eau du Vallon lake. Opposite the exhibition center, the hotel is 5 minutes by car from the city center. Golf course and public swimming pool nearby. The hotel offers a free private car park. Rooms are equipped with a WIFI connection and have a satellite TV and a private bathroom. You can also take advantage of the bar and 24-hour snack service. Autun, city "of Art and History", a gateway to the Morvan hills. Discover the Saint Lazare cathedral, Gaulish/Roman remains, Bibracte, the temple des 1000 Buddhas. Nearby: leisure center, sailing center, 9-hole golf course. Nice location opposite Lake. Restaurant next door. OK - easy access, nice location on edge of town, but let down by room. Had better. Air con not working so very hot. I accept the weather for Oct is bizzare but it made the room uncomfortable. ALSO worst shower ever no water pressure so no shower - Reception advised. Eveything was very comfortable, except it was hard to get cold water out of the mixer tap on the hand basin.. If you let it run on the cold side, it just got warm. We were in a rush to go amd I didn't get chance to mention it at reception. Apart from that we were very comfortable and breakfast was good. We stayed here for 1 night in July 2017, and a thoroughly enjoyable stay. Meaning to book again this year, it would seem the hotel no longer functions.....a great pity. The service was excellent, the staff very helpful and the meals served in the hotel were very good value for money. The hotel is looking tired and needs to be refurbished. The hotel no longer has a restaurant although it still mentioned one on the web site, very poor! All that was available were microwave meals from the reception and these were expensive too. Awful. I was in tears at one point. Your website said you had a restaurant. You don't. The colour scheme in the hallways, landings etc which us pink, green and dark blue us horrible. The room was so small. Your hotel is in need of improvement. It's truly awful You need to amend your website information about having. A restaurant. I would not have booked if I had known you did not have one. Bar poor with stale pression beer and certainly not the brand quality ordered, restaurant packaged food only - no chef able to offer vegetarian option, loo seat would not stay up / was broken, booked for two nights stayed only one. Easy to access hotel on the east side of Autun. Great location beside a lake with a path around it with outdoor gym equipment and about 2.5km walk into the town centre.There is also a swimming pool very close by. Very friendly and helpful staff. Small but comfortable rooms with good showers. We felt that the dinner menu was a bit limited but okay. The breakfast was excellent and we liked the opportunity to take out coffee and fruit. Very comfortable and prompt and courteous service. It was very comfortable and tidy. We had a meal in the hotel which was very good and well-priced. The service was good. The breakfast was up to the normal standard. From the moment we arrived the staff were fantastic, and very helpful, even though we could not communicate very well. Receptive staff and good communicators. Comfortable room. Very good breakfast. A beautiful location easy to find and park, next to a wonderful lake and I was able to go running in the forest to a waterfall. The staff were very helpful and friendly. The room was very small, but clean. I didn't sleep well as the bed made my back ache, but I am used to a hard bed, so may be that's just me. It was very hot and having the AC on didn't seem to make any difference. WiFi worked OK, but not for streaming. 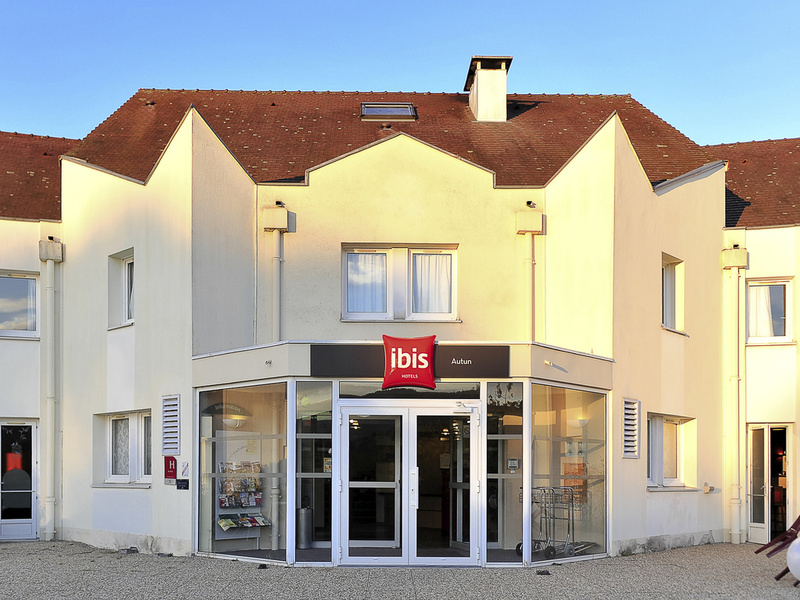 We stayed at 9 hotels recently during a holiday in France, 3 Ibis and 6 from the Logis range. The Ibis at Autun was the worst by far. The other Ibis hotels at Poitiers and Montauban were more like the old, iconic Ibis hotels of 20 years ago before a frenzy of mergers of cheaper chains under the Ibis banner and much pointless marketing have come close to ruining the brand. Nowadays, I find the Logis chain (if the hotel is carefully chosen) while more expensive, offers much better value for money. Anyway, as far as the Autun Ibis is concerned, the problem is the restaurant. This was our experience: 1. The 2 or 3 Plat menus described in the room literature were not available in this restaurant although they had been in Poitiers and Montauban. Instead there was a very limited a la carte. 2. The food was overcooked. 3. There was no 50Cl. pichet of wine option. Instead we had to order a 14 Euro bottle that was screw top and dumped on the table without being opened for us. Altogether we paid almost 45 Euros for 2 poorly cooked main courses (a trout and an omelette), a rather skimpy Café Gourmand and the wine. Very poor value. The night before we paid around 60 Euros in a Logis hotel in Tournon for a 3 course menu of high quality including a 50Cl pichet of acceptable wine which cost 5 Euros. The next morning's breakfast was no better. A crowd of French geriatrics stripped the Breakfast Buffet like hungry crows and the staff was very slow to replenish it. It may be that the Ibis restaurant is suffering from a lack of competition being in an isolated location about a mile out of town. If you must stay at this hotel, notice that there is a McDonalds hidden a few hundred yards away. I wish we had eaten there. On the good side, the rooms are spotless and the staff are friendly although none of them had a word of English. And the lavatory seat in the bathroom had been poorly installed and would not stay up. Every male knows how this generates feelings of unease and fear. Great location. Hotel looks a little tired, but usual Ibis quality otherwise. Friendly staff. Staff pleasant, helpful and welcoming. Room, though clean too small. Not enough space for 2 people to walk round the bed. One had to be on the bed for the other to get to the bathroom. Bathroom had efficient plumbing but the thinnest t.owels. I have dishcloths that are thicker. Breakfast choices were satisfactory but on the 2nd morning at 9am not much choice was left. Items had not been topped up. At 9.20 a staff member started to top up items. We noticed that she used bare hands to place pancakes on the serving plate. Poor hygiene.